The Cooking Actress: My Birthday!!! Yesterday-was my birthday! Not a big one, just 22 years, but nevertheless-I love my birthday :) I feel so old now, my mom was this age when she had me. This thought is what, I'm assuming, caused me to have a dream where I was pregnant the night before my birthday. Anyway, like I said-weird. I feel like I'm still only 16! (While simultaneously also being middle aged, what with all the cooking and housework and then relaxing on the couch with the boy-weird, I know.) Anyway, I thought-since food was a large portion of my day, and since this is a food blog, why don't I share it with you? 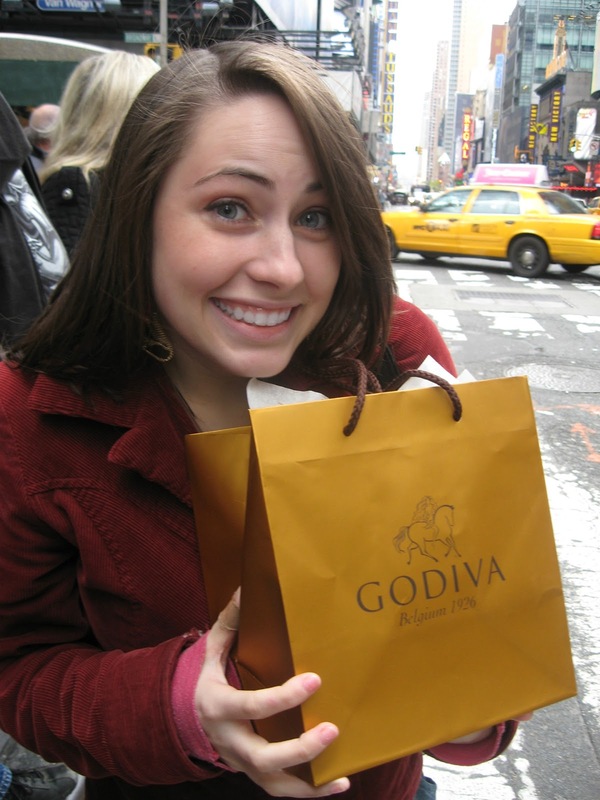 The perfect start to any good day is Godiva. I got some free chocolates (REWARDS CLUB!) and they also had a sale, so I bought some dark chocolate bars for future baking. To start, they brought us their complimentary garlic cheese biscuits. (shh....don't tell but....the kind I make are better...) Michael loves these sooo much! I mean, obviously I ate them too lol. 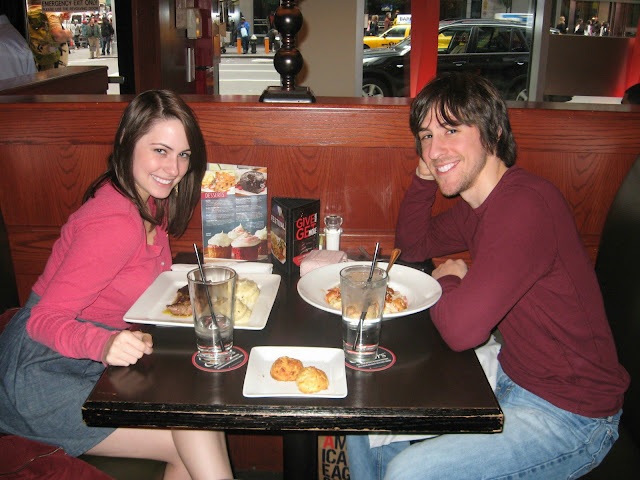 Michael ordered the Parmesan Shrimp Pasta. This is also what he ordered on our first date. He loves it! As always the steak was cooked perfectly and was juicy and delicious. And the mashed potatoes are just out of this world. So creamy and flavorful. Mm! After some holiday shopping we went to Sant Ambroeus. An obviously high end restaurant that's very well known here. This was my birthday indulgence (money wise). I found out about the famous Sant Ambroeus dessert from The Food Network show The Best Thing I Ever Ate. It looked like heaven. It had such a plush texture and so many subtle layers of flavor, it tasted expensive. Happy belated birthday! With you being in NY, the hardest thing by far is making a decision on where to celebrate, but in the end it is the company that makes the evening special. The godiva purchase was a great start and indulgent dessert was a great ending. Glad you had a very memorable and enjoyable evening!